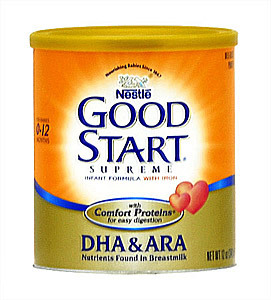 Nestle Good Start Supreme infant formula with iron. With comfort proteins for easy digestion. 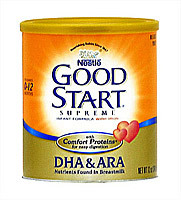 DHA & ARA nutrients found in Breastmilk. For babies 0-12 months. Milk-based powder.